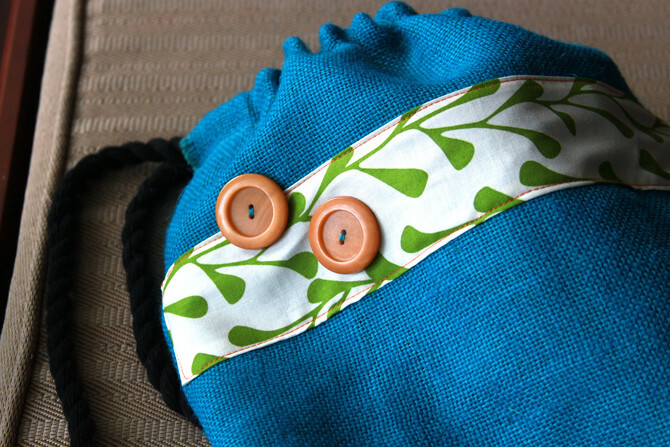 I've had this simple beach bag's instructions tucked away in my "future projects" file for years. 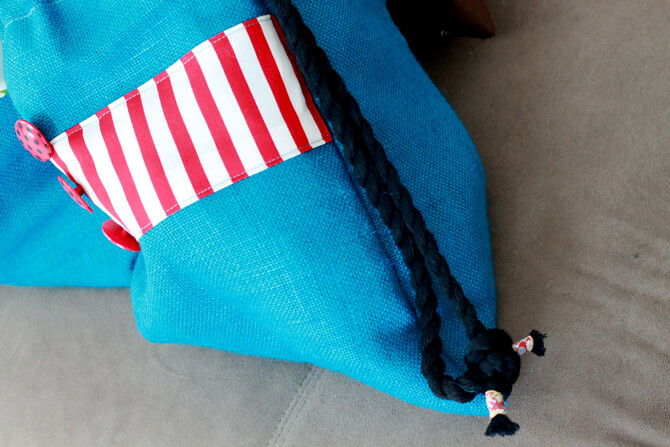 It is Martha Stewart's Easy Beach Bag. 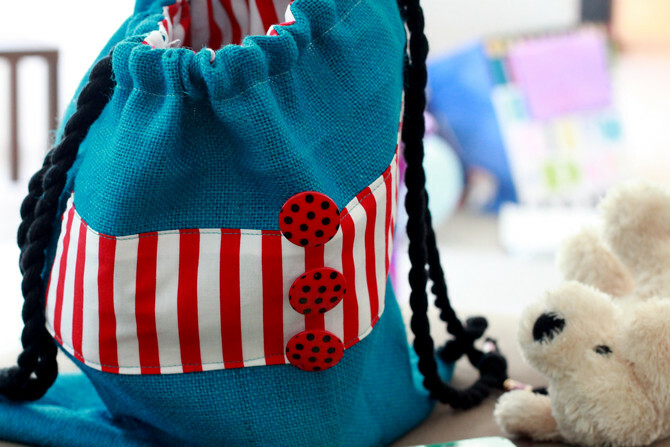 It is essentially a drawstring bag with loops at the bottom of the bag for the drawstring to create shoulder straps, like a book bag. 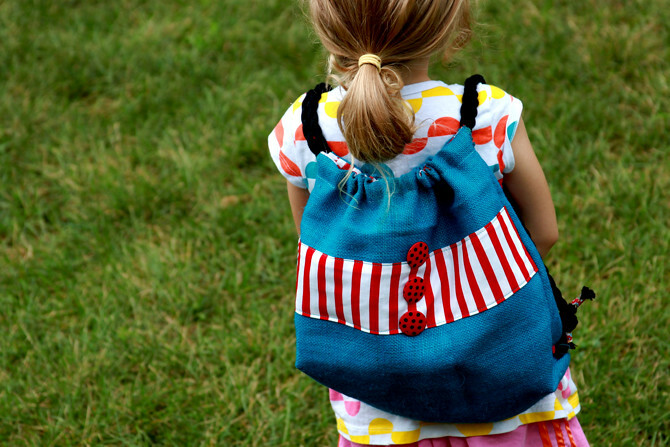 Martha's version calls for cotton fabric for the outside and a nylon liner with thin cording. 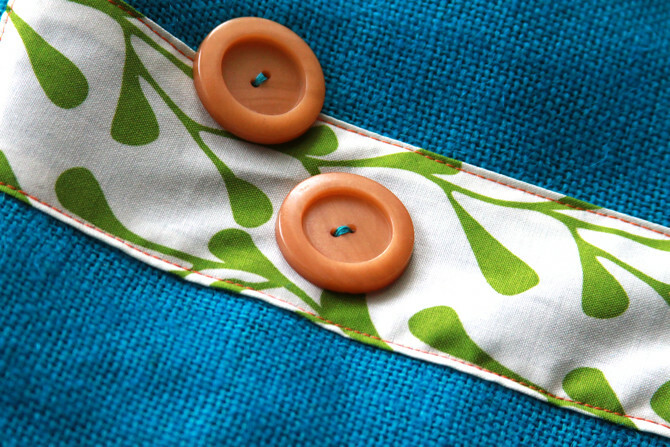 My take on her project meant using my wide cording and more rugged fabrics. And of course I added the embellishment; I wanted it to remind the girls of the sea. Johanna's is more natural and seaweed/kelp like and Caroline's refreshing and carnival like. The bag will also do double duty as their personal totes filled with entertainment for the long car ride down to North Carolina. The girls have already been packing them with dolls and puppies and toting them around. 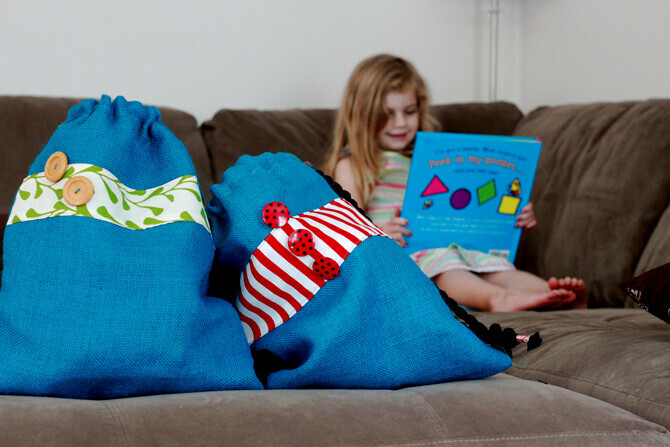 Martha says it is a one hour project, which I mostly agree with, except for the first bag I attempted to make with the twins climbing on chairs (the wall of chairs I created to keep them from climbing up the stairs) and climbing me while I sewed. Try out the bag. 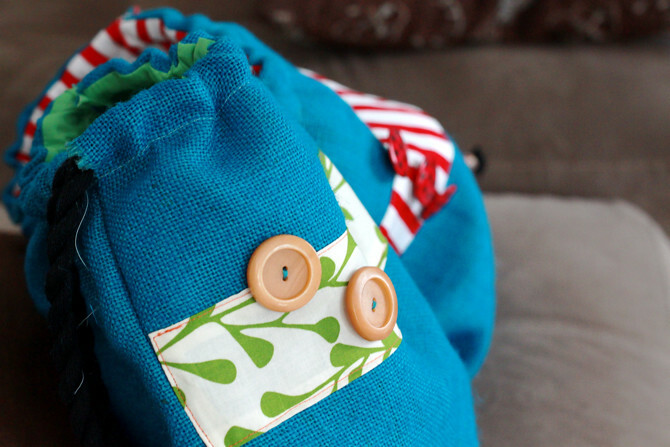 It is a fast, gratifying project you could use as an alternative to a book bag or library bag. Now I'm gearing up for the trip itself. And boy, have the lists started over here--packing list, baking list, what-to-take-in-the-car list... I enjoy making lists too much and packing too little.